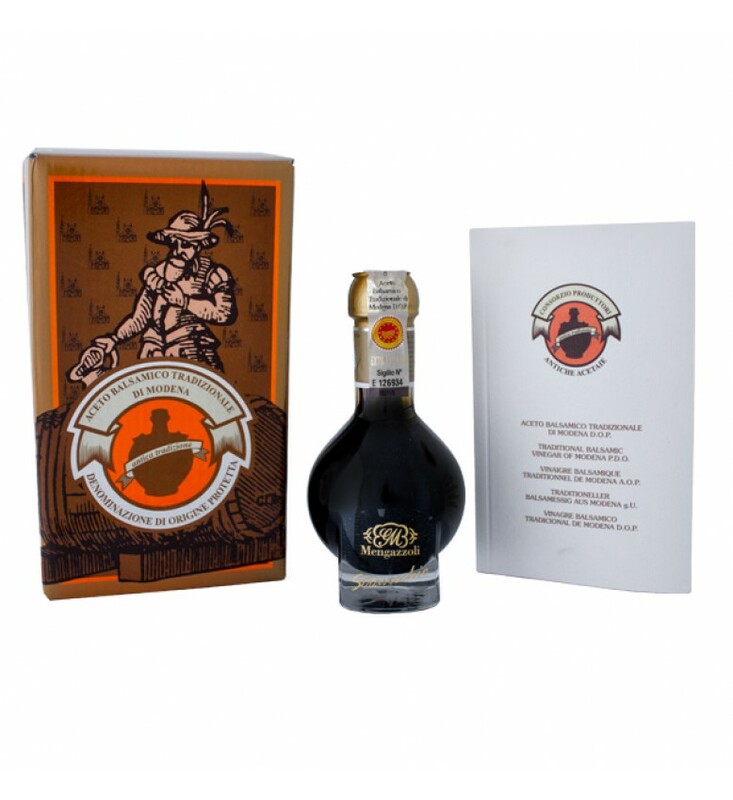 The Traditional Balsamic Vinegar of Modena D.O.P. 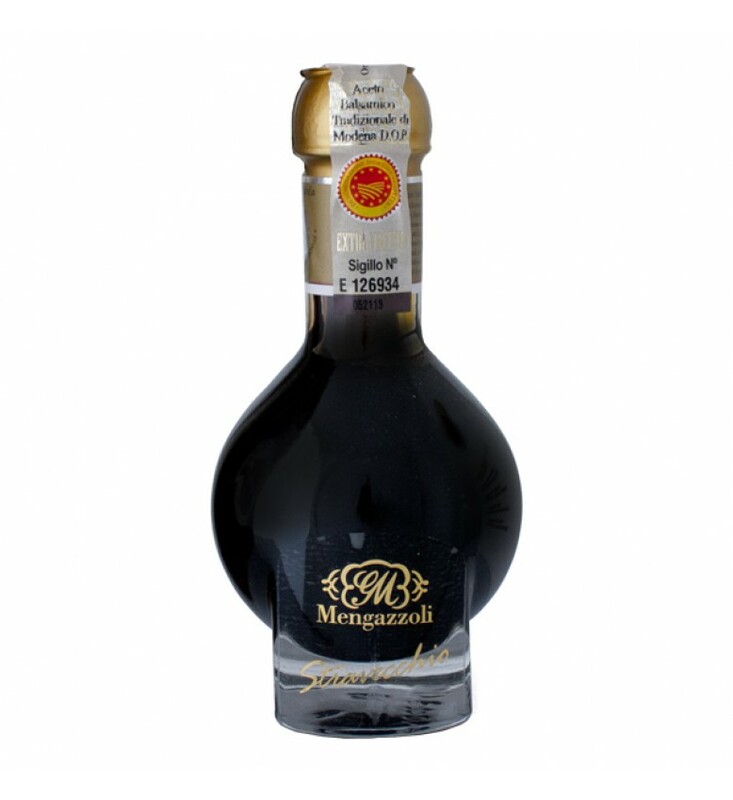 is a very old balsamic vinegar and the process of making it remembers and maintains the same natural method used in the Modena tradition. 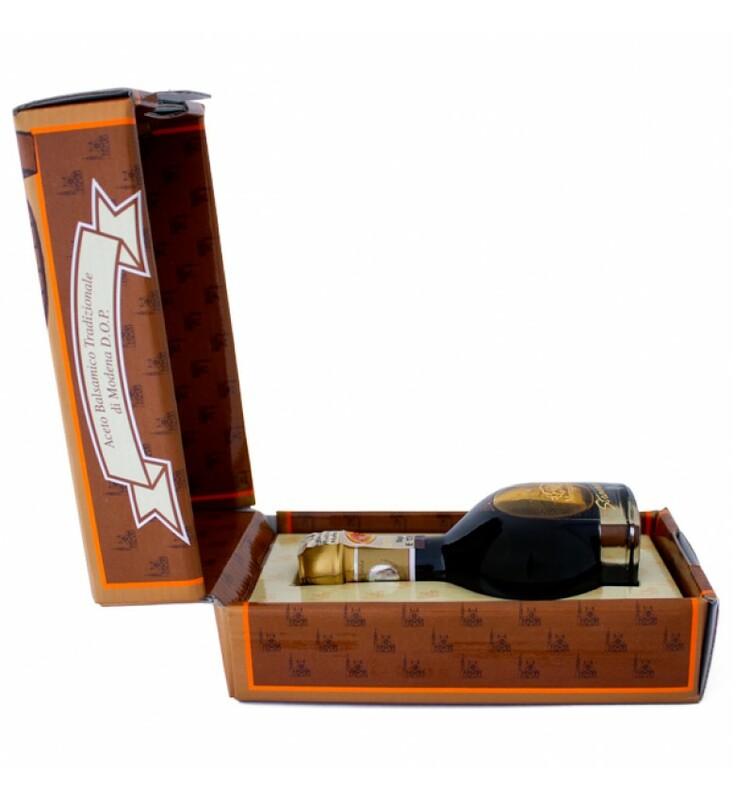 It needs to be cooked over direct heat in boilers out-doors, then the natural fermentation and acidification of the wort with subsequent decanting between the battery of barrels grant a perfect ripening and slow aging. This process requires the use of specific grapes such as Trebbiano, Lambrusco Spergola and the Berzemino aging in barrels made of different wood, mostly oak, chestnut, mulberry, cherry and juniper, each of them release a special organoleptic physiognomy and finally the traditional balsamic vinegar of Modena Stravecchio.